Dr. Tamara Andersen is a highly dedicated professional who has a deep passion for the education industry. Dr. Andersen has held several positions in higher education for 14 years and spent the last three as an online professor, teacher supervisor and mentor at Grand Canyon University. 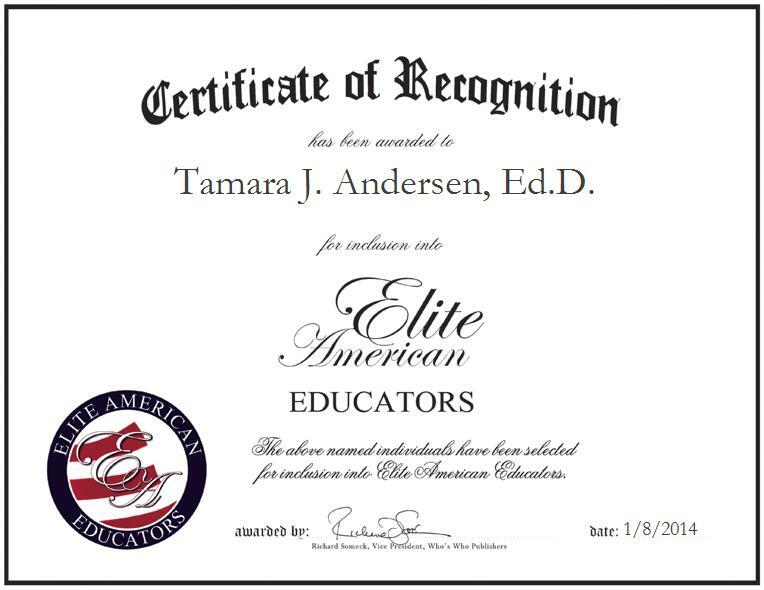 An expert in instructional strategies and curriculum development, Dr. Andersen is responsible for facilitating online special education courses at the graduate level, and supervising and mentoring student teachers working in the Memphis area. Dr. Andersen decided to focus her efforts of special education when she worked for a family that had a child with special needs and saw the challenges they faced. She has always enjoyed helping people and wanted to provide special needs children with a stronger educational foundation. A luminary in the field, Dr. Andersen was the driving force in aligning academic state standards in Arizona. She previously wrote, reviewed and developed content for the Arizona Department of Education Standard-Base Assessments. Dr. Andersen attributes her success to her passion and determination to see all children receive a proper education. Looking toward the future, she would like to write her second book and work for the Department of Education again.